Notepad Corner: One Day in London? No Problem! One Day in London? No Problem! 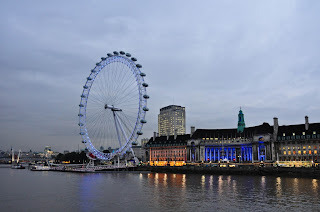 Most people with any experience of London will happily testify that you really cannot see all that’s on offer in a single day…and boy, are they right! In fact, spend a week, fortnight or month in London and chances are you won’t even scratch the surface. Heck, you’d be lucky even to get round the museums you’re interested in over the course of a week or two, let alone the landmarks, galleries, parks, eateries and so on and so forth. However, this doesn’t for one second mean that a daytrip to London is pointless, as some have taken it upon themselves to claim. Quite the opposite in fact as with so much on offer spanning the most enormous area of England, one day is more than enough to pack in enough sights, sounds, smells and sensations to bring home a thousand and one memories. 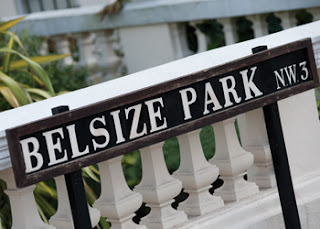 Take the Northern Line of the Tube far away from the tourist masses and hop off at Belsize Park for a stroll into Primrose Hill for a spot of breakfast. If there’s anywhere in London to escape the rabble and find A-Listers occupying any number of tables all around you, it’s here! If not, chances are you’ll see them walking their dogs in the park. After this, walk off your breakfast with a mercifully easy downhill stroll all the way to Camden Town, which is guaranteed to deliver a sensory overload regardless of the time of year. It’s probably the closest you’ll get to an urban version of the Glastonbury Festivals, with booming music, packed markets and amazing street food aromas filling the air. Maybe stop for a sneak pint by the lock, weather permitting. 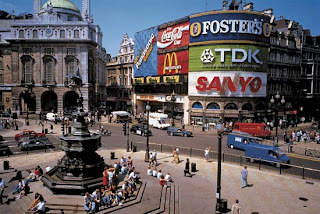 Just to get a taste of the chaos, jump back on the Tube and head to Piccadilly Circus, from where you can brave the crowds and take a stroll right through theatre-land, past Leicester Square and on to Covent Garden. Here you’ll find street entertainers performing all year-round and some excellent pubs with balconies overlooking the action – the perfect place for lunch or a snack. Next, carry on walking directly to the South and you’ll find yourself at the Thames – you’ll want to head for the nearest bridge and hit the South Bank. 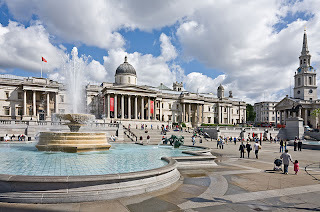 From here, you’ll be able to take in some of the capital’s most famous building and structures, including the London Eye, the Tate Modern and any number of bridges. It has to be said that this walk is particularly magnificent by night. Last but not least, cross back over the Thames to take in Big Ben, the Houses of Parliament and Westminster Abbey, which lead on to Trafalgar Square just a short stroll further down the road – the perfect place to finish off the day in a cosy café or inn. All of the above can be tackled at a steady walking pace in no more than six to eight hours or so, depending on how many stop-offs you choose to make. And what you might also note is that aside from eating, drinking and riding the Tube, the whole day is pretty much free of charge! Who said London has to be expensive? This post was brought to you by Lisa Morton on behalf of: Crylla Cottages who provide wonderful cottage holidays in Cornwall.